Update, November 22: Contrary to reports yesterday, the Belgian Gaming Commission has not declared loot boxes to be gambling. The Belgian Gaming Commission is yet to come to a conclusion on the matter of whether or not in-game loot boxes constitute gambling. A mistranslation of a statement from Belgium’s Minister for Justice, Koen Geens, may have been responsible for the confusion. Here’s everything wrong with the Battlefront II progression system. Yesterday, we reported that the Belgian Gaming Commission had concluded that loot boxes did indeed constitute gambling. That information stemmed from a report from VTM News, who mistook a statement from the commission made as part of the launch of the investigation – that “The mixing of money and addiction is gambling” – as the committee’s conclusion. In fact, according to RBTF, that is definitely not the conclusion of the investigation. They contacted EtienneMarique, the chairman of the Gaming Commission, who “completely denies” that any conclusion has been reached. The investigation is ongoing. Update, November 21:The Belgian Gaming Commission’s findings are in, and they’ve declared loot boxes to be gambling. Last week, we reported that Belgium’s Gaming Commission – which regulates all gambling in the country – was investigating whether or not to call loot boxes gambling after the considerable controversy surrounding the release of Star Wars Battlefront II. Update, November 20:Lucasfilm say they support EA’s decision to remove microtransactions from Star Wars Battlefront II. After the revelation that Disney may have contributed to the decision to remove microtransactions from Battlefront II, as well as the fact that two national governments were investigating whether or not they counted as gambling, it’s not too much of a surprise that Lucasfilm have weighed in on the argument. 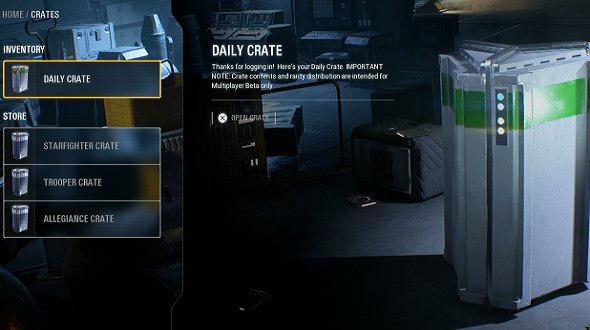 Update, November 17:Dutch Authorities are investigating loot boxes to determine whether they constitute gambling. The Dutch Gaming Authority are conducting an investigation into loot boxes to see whether they count as online gambling, which is currently illegal in The Netherlands. Last month, research firm SuperData were commissioned by the Gaming Authority to investigate the link between online games and gambling, and found that 55% of UK 25-34 year-olds switch from gambling-style games or vitual item wagering (such as skin betting in Counter-Strike: Global Offensive) to real-money gambling. 80% of those who switch in The Netherlands do so because playing with real money “is more exciting.” You can read the full report here. Update, November 16:In response to the investigation currently underway by Belgian authorities, EA claim Battlefront 2’s loot boxes do not constitute gambling. The statement was given in response to the news that the Belgian Gaming Commission is investigating whether loot crates available for purchase in Battlefront II and Overwatch count as gambling. Blizzard are yet to comment on the issue, but EA say their crates don’t count, despite the potential gameplay advantages they can offer. Original story, November 15:While all eyes are on theReddit AMAgoing on with the Star Wars Battlefront II developers today, that’s not the only subject of interest for the game today. It seems one governmental organization is investigating whether the game’s loot box system should be classified as gambling. According to VTM News, the Belgian Gaming Commission – which regulates all gambling in the country – is currently investigating whether or not loot crates in the game should be categorized as gambling. Assuming the commission finds that the loot box system is indeed a game of chance, EA would potentially be forced to pay fines up to hundreds of thousands of euros, or see the game removed from shelves. Overwatch is also part of the investigation, but based on the commission’s specification of in-game performance as a factor, its cosmetic options seem less likely to come under fire.